With so many options out there for tenants you might not be sure what sets your unit apart from the rest. Ponder everything that is unique to your apartment, are utilities included? Is it furnished? Does it include usage of amenities if applicable? These are all things that can help you make more money on rent. If you make minor adjustments to the rental terms and conditions, you can surly increase the revenue. Potential tenants are looking for a service; they wish to rent a place to live in for a temporary period. Not all desire the dreadful duty of moving, so some prefer apartments that are furnished. The demand for this will add to the owners’ initial expense, however, generates more money for rent. As a landlord, you have the option of including the cost of utilities in the monthly rent, or leaving that responsibility to the renter. If you are raising the fee for electricity or water you can charge more. You should find out what standard usage amounts to and go from there. It’s important to consider the fact that since utilities will be included; the tenants might not care about consumption. They could leave air conditioners on 24/7 in the summer; you have to be prepared for that. Other things to consider; cable, internet, gas (if applicable) and home phone service. You could offer these items and charge more. Furnished apartments are typically more expensive to rent than non furnished apartments. The reason is because of expediency, renters only have to bring clothing and personal items with while they stay there. The owner is responsible for providing the essentials, at their own cost. Money has to be spent on beds, couches, tables and chairs, lamps and other home furnishings in the beginning. Although the owner takes on a pricy venture, they are making the apartment accessible to more people. This is exactly the reason why you can charge more for rent. You provide a service, which is a furnished apartment for people to rent, and all the tenants have to do is stay and pay. So, the cost of renting is higher because it reflects the efforts you have put in, and secures your assets. Mostly all the time security deposits are charged. The price varies from place to place and is often a total of the first and last month’s rent. Basically, the money that is collected is like insurance, it is held to assure the owner that the renter is responsible for keeping the unit in good condition. Renting to someone with pets could allow you to charge more. 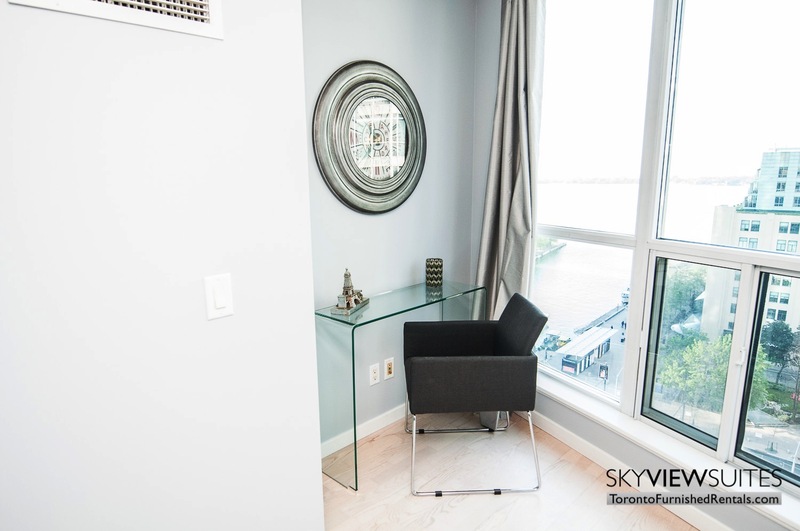 If you are looking for a place to stay while on the hunt for an investment property, SkyViewSuites www.torontofurnishedrentals.com have a variety of furnished units for rent.